Carnoustie: There is nothing flashy about Francesco Molinari except for the players he keeps beating. And it wasn’t an accident. 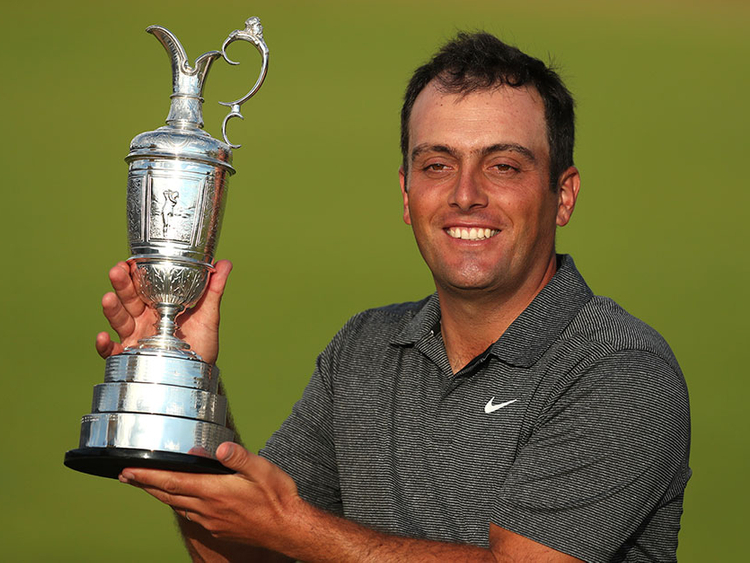 The 35-year-old Italian was the hottest player in golf in the two months leading up to the British Open with two victories and two runner-up finishes. All he did at the BMW PGA Championship was go head-to-head with McIlroy in the final round and beat him by two. A month later, he shot 62 in the final round to win the Quicken Loans National, with Woods as the tournament host — he tied for fourth that day — presenting him the trophy. Reputed to be the toughest links in golf, especially in the 20mph gusts that finally arrived Sunday, Molinari stopped playing the Dunhill Links Championship because that one stop on the three-course rotation ate him up. McIlroy and former US Open champion Justin Rose made a charge. Woods and Spieth were among five contenders to make double bogeys. In the midst of such great theatre, Molinari made his biggest move by not going anywhere at all. He opened with 13 pars, including the 12th and 13th holes as Woods lost the lead with a double bogey and a bogey. Molinari, whose older brother Edoardo won the 2005 US. Amateur and played with him in the 2010 Ryder Cup, comes from a country known more for football and skiing than golf. They had their chance at glory two decades ago. Molinari was 12 and watching on TV when Costantino Rocca rolled in that putt across the Valley of Sin on the 18th at St. Andrews to force a play-off with John Daly in the 1995 British Open. Daly wound up winning the four-hole play-off. Rocca was paired in the final round with Woods two years later at the 1997 Masters, but that wasn’t much of a contest.